Bipolar therapy treatment usually refers to “talk” therapy for bipolar, as opposed to bipolar drug treatment such as lithium. Some people prefer these types of treatments because they perceive them as a more natural or holistic bipolar treatment option than the powerful bipolar medications. Therapy is very effective – even necessary – but it is an add-on or “adjunct”. Genuine Bipolar I must be controlled with mood stabilizer medications to prevent episodes of mania or depression. Please note that we encourage this approach and that the following discussion of various therapies assumes that they are being used in conjunction with a mood stabilizer prescribed by a qualified medical expert. Personally I have experienced huge improvements from therapy and now experience far fewer and far less extreme episodes of mania and/or depression. Not only are my mood swings fewer and less drastic, but I have been able able to cut back A LOT on medication. Taking fewer drugs and still enjoying increased stability is wonderful. 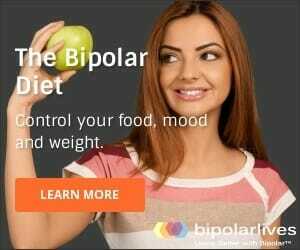 I hope you will take the time to read carefully about the different types of therapy available and experiment to discover the best bipolar treatment option for YOU. What are some of the most effective, popular and proven bipolar disorder therapies? My personal preference is for the newer and more practical therapies such as IPSRT, Functional Training, Positive Psychology, and ACTUAL TOOLS such as Mood Charts, Wellness Plans and Treatment Contracts. However, I have also had substantial benefit from learning some DBT techniques such as self-soothing and distraction. In the days first following my diagnosis and in the course of building this Bipolar-Lives.com website, I have also done a ton of reading, research and learning about many aspects of bipolar disorder so I also have to acknowledge many gains from Pyscho-educational Treatment. Read the following snapshots and research the bipolar treatment therapies that appeal to you. Also, please note that the evidence of effectiveness is particularly strong for Psycho-educational Programs, Family Focused Treatment (FFT), Cognitive Behavioral Therapy (CBT) and Interpersonal and Social Rhythm Therapy (IPSRT). No single type of “psycho” or “talk” therapy has been proven to be uniformly superior in treating people with bipolar disorder. Also keep in mind that psycho-education and CBT are the most studied to date and therefore have the most research and evidence behind them. Personally, I am not aware of any strong and consistent evidence for psychoanalysis in treating bipolar disorder and would suggest finding a therapist who is more interested in your present and in your future than in your past or in your “unconscious” mind. 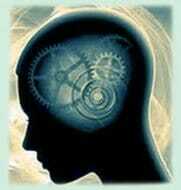 See Cognitive-Behavioral Therapy and Bipolar Disorder. Think lying on a couch while Sigmund Freud discusses whether dreaming about missing the bus symbolizes your unconscious rage at your father. The classic “talk therapy”, psychoanalysis is a protracted method for exploring the unconscious and the past to discover the roots of neurosis. Another very effective bipolar therapy treatment! See a free, real life example at Bipolar Disorder Education Program. Family Focused Treatment for bipolar disorder is a psychoeducational therapythat recognizes the importance of the family environment in maintaining medication compliance and preventing relapse. Once a patient stabilizes, they and their family are educated about the nature, symptoms and treatment for bipolar disorder with an emphasis on building communication and problem solving skills. I LOVE IPSRT! It is a very practical and very targeted bipolar therapy treatment that focuses on establishing healthy physical and social rhythms and routines. Bipolar Counseling is a cooperative and practical talk therapy where the counselor and patient work together to solve problems and improve coping skills. Results are highly variable as so much depends on the skills and approach of the individual counselor. Obviously you will do much better with someone who has specific expertise in bipolar disorder. Positive Psychology seeks to build optimism, happiness and resilience through day to day activities that are empirically proven to promote these positive mind sets and emotions. See What is Positive Psychology? is based on understanding the “stories” you tell about your life. It positions you as the expert on you and is non-blaming, seeing people as separate from their problems. The Narrative Therapist works with you to identify your strengths and apply them in new and extended ways. facts.” See Using Mindfulness for Bipolar Disorder. Therapy or rehabilitation/physiotherapy for the mind. My personal turning point? IPSRT! This is more than just creating lots of structure and schedules, so make sure you work with an experienced bipolar disorder therapist for the best treatment outcome. Bipolar therapy treatment is definitely NOT “one size fits all”. If any of the above therapy or treatment snapshots resonates with you, please do the follow-up research and give it a try. 1. Remember the saying “the only point of power is in the present” and look for a therapist with a practical focus who has formal training and qualifications with specific bipolar disorder expertise. 2. USE TOOLS such as mood charts, a wellness plan, a treatment contract and a daily schedule!